In the great green room, there is a telephone, and a red balloon, but no ashtray. “Goodnight Moon,” the children’s classic by Margaret Wise Brown, has gone smoke free. 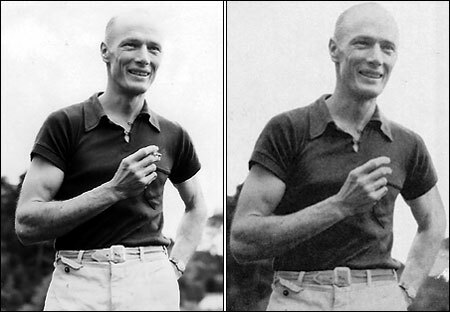 In a newly revised edition of the book, which has lulled children to sleep for nearly 60 years, the publisher, HarperCollins, has digitally altered the photograph of Clement Hurd, the illustrator, to remove a cigarette from his hand. The company was about to reprint the hardcover and paperback editions, so “as a quick fix, we adjusted the photograph” to eliminate it. Adjusted? Perhaps rectify would be a more appropriate word in this context.